Yummy! I'm a sucker for anything orange. Will try this today. Got navel oranges for a buck a pound today. Thanks! manisha, I just loved your post! wistful moaning and all!!! burfi sounds yummy - very different and unusual - perfect to try out with my new zester!!! and whats this about "ghee leaving the sides"? 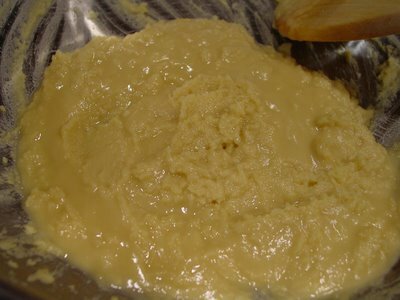 - none of the ghee I eat ever seems to leave my sides - sigh! lovely post - made me smile! The 'wistful' 'moaning' reminded me of Myrtle (is SHE the loo ghost?) in Harry Potter! Anyway, I saw a variety of fruit burfi on a recent trip to Pune, there was mango, Alphonso, orange, pineapple and custard apple, the custard apple taste really came through. That was the first time I saw fruit burfis! Your pix r nice. I love the screaming cup. It also works as a telephone if the knot is on the inside and the cup held over the ear.And the orange barfi looks very nice too! 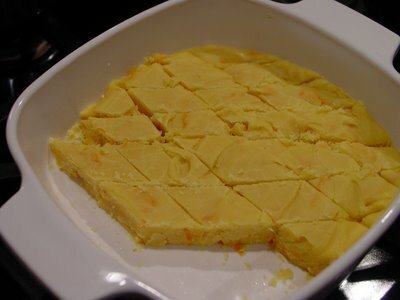 Wow, burfi with orange, looks delicious manisha. And I am going to do the screaming cups for my nieces and nephews.. it'll be past halloween, but I don't think they'll mind! I loved the orange burfi. I am going to try it,especially since it is from your mothers recipe book. Hi Manisha - we are going to try out both the screaming cup and the majestic orange burfi. Burfi looks sooo divine especially characterized by a great display. Thank you for participating at VCC Q3 2006. You have a winner recipe here. All the best. See you at the show. Cheers! 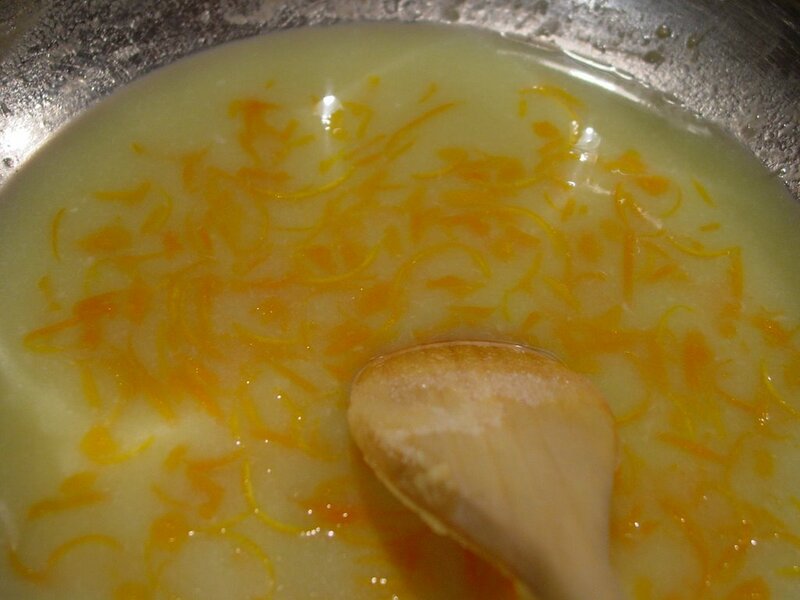 I was going through your recipe and noticed that you have not mentioned at what stage the orange juice is to be added.While it figures on ingredient list,it does not come into play later. 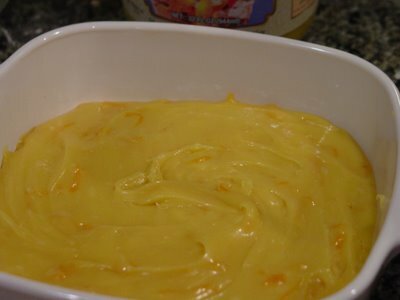 The reason why I was curious is that for some reason,I dont think that milk and orange juice go together- or atleast thats what we were told growing up- and was wondering how you were going to use the OJ.if you are supposed to boil it with the milk..than doesnt it cause the milk to curdle? Pranita, welcome! 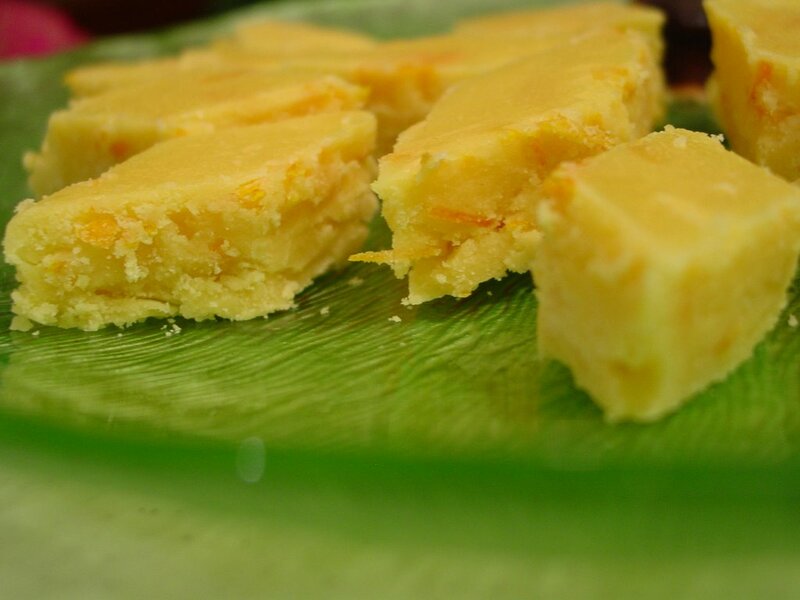 Do let me know whether the orange burfi tickled your tastebuds or if the combination did not work for you. I know a lot of people who don't like the idea of fruit in burfis and halwas. SH, I couldn't stop laughing!! I'm in the same boat as you, love handles and all! Sra, Myrtle is the spectre in the restrooms! Now that you mention it, it does sound like her! I'd love to try the sitaphal burfi. After mango, sitaphal is my to-die-for fruit. Jyotsna, thanks! And, yes! 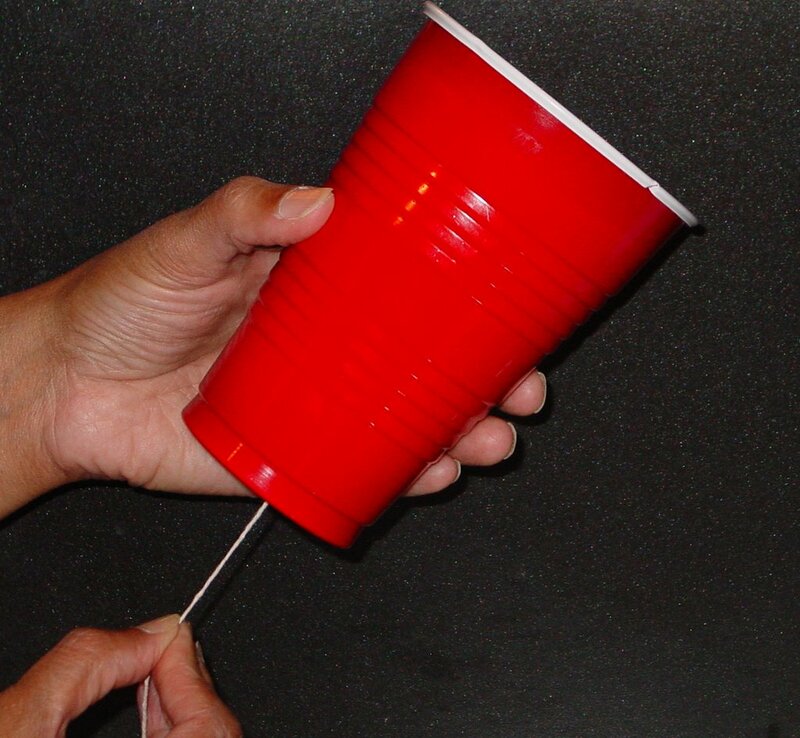 I remember playing 'telephone' with cups when I was a kid. Gini, I am really touched! You are just so sweet! But do re-check the recipe as I omitted the OJ in teh instructions, as the last person to comment before me pointed out. I've fixed that now. Asha, I never realized how I played into the Hallowe'en theme! Must be the subconscious at play! Did your cups scream? VKN, thanks! Pleas re-check the instructions before trying it out! Krithika and Foodie Jr., thanks! Anon, you are so right! I missed saying when the OJ should be added. It should be added with the orange peels, sugar and milk. I've updated my post to that effect! Thank you so much for pointing that out to me! Next time maybe I should copy the recipe word for word from the diary!! I was a little concerned about the milk, too but I think the sugar saves it from curdling. I don't quite know the chemistry of it but it is something to experiment with! So, no, the milk did not curdle. Oh man, that sounds gorgeous! 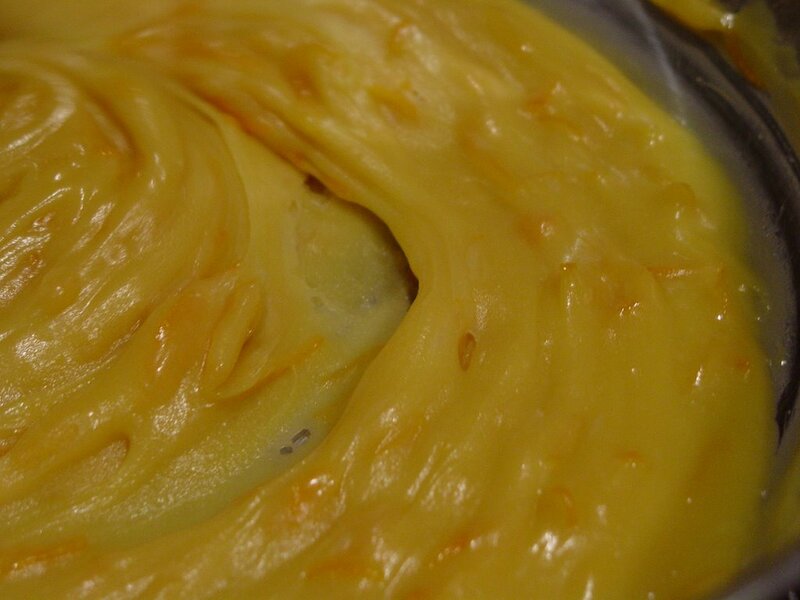 Orange anything is one of my favourite flavours :) I hope your orange burfi turns out to be the winning recipe! 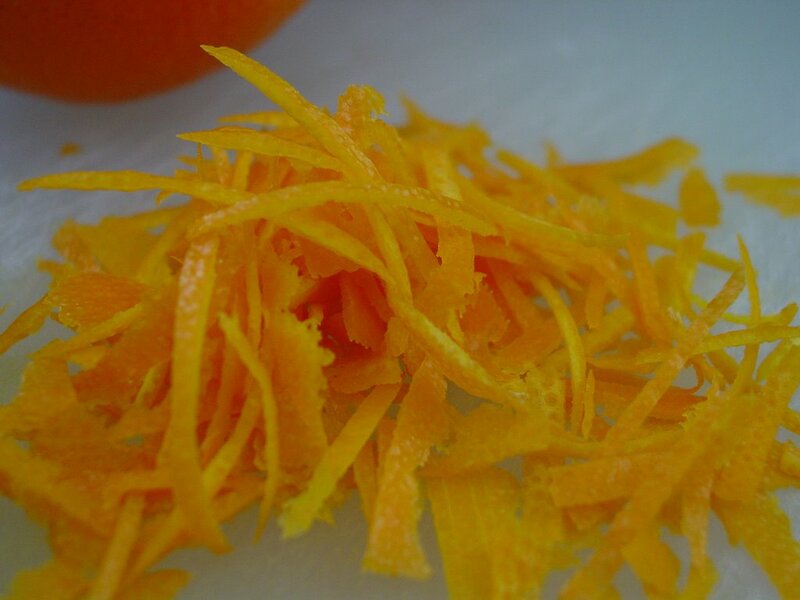 Shammi, it is delicious, especially the orange peel! Yum! I don't know about winning - there are a bunch of fabulous recipes that have been entered! The biryanis are blowing me away as are the spicy treats! Manisha, i tried the orange burfy today. It was so delicious that i'm planning to make another batch this weekend. And maybe mango burfi too :). Thanks for the recipe. Old is gold. Manisha, this sounds wonderful! I have never made burfis at home, and I am definitely going to try it. What ingredients other than orange peel do you think it would work with? As in, does kaju burfi follow the same recipe, but with pureed kaju? Pranita, I am thinking of making it again, too. But I am going to let a couple more weeks go by so that I don't feel that guilty! I am so glad you enjoyed it. Please let me know how the mango burfi tasted, and whether you used fresh mangoes or canned pulp. And yes, old is gold, indeed! desiknitter, like Pranita said perhaps mango might be something to try out. Saffron Hut has a great recipe for Kaju Kathli. It sounds very simple. The process is different though and it has no ghee or milk or maida, just sugar, cashews and water! 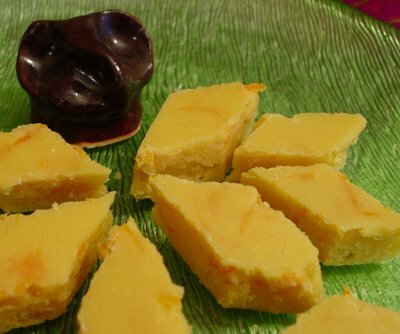 She also has a recipe for Badam halwa, which is similar to my orange burfi. However, don't change the proportions or substitute any of the ingredients. Shanta of A-S ran into problems when she did that. My mom also has a 'blue diary' filled with recipes...lol!